“A musical sensation from Austria” wrote the Berlin Tagesspiegel of the young Minetti Quartett’s debut at the Berlin Philharmonie in 2009. The name “Minetti Quartett” refers to a play by famous Austrian author Thomas Bernhard (1939-1989), who lived in Ohlsdorf, the birthplace of the quartet’s two female members. The “European Rising Star Series” presented the Minetti Quartett during the 2008-09 season on the stages of the prestigious European concert halls. Since then appearances included Wigmore Hall, London, Concertgebouw Amsterdam, the Koelner Philharmonie, Palais des Beaux Arts Brussels, Festspielhaus Baden-Baden, Mozarteum Salzburg, Beethovenhaus Bonn, Birmingham Symphony Hall, Konserthuset Stockholm and of course the Vienna Musikverein. Die Presse in Vienna summed it up after one of those concerts: “The youthful freshness of the quartet’s interpretations charms audiences since 2003. There are top musicians with spirit and dedication at work who charge the music of the classic and romantic periods with energy for the new millennium”. The Minetti Quartett has collected more important prizes than any ensemble since 2003 when it received the Haydn Award at the International Joseph Haydn Competition in Vienna, followed by the International Rimbotti Competition for String Quartet in Florence, the Franz Schubert Competition in Graz, the national “Gradus ad Parnassum” Prize. Soon after the formation of the ensemble it received strong support from the Herbert von Karajan scholarship, the Musica Juventutis Vienna, Live Music Now, Jeunesse Musicales Austria, Start – Scholarship of the Austrian Ministry for Education, Arts and Culture. A frequent guest artist at important music festivals, the Minetti Quartett has appeared at the Schubertiade in Schwarzenberg, the Aldeburgh, the Mecklenburg-Vorpommern and the Kuhmo Festivals. At the Festival of Aix-en-Provence, the quartet performed as the festival’s laureate. International tours brought the ensemble already to The US, South America, China and Japan. Numerous concerts were recorded and broadcast live on the BBC, and other European Radio Stations. In 2009 the Haydn debut CD was released on the Haenssler Classic label which has received enthusiastic reviews. “Finally a new discovery. Such exciting playing has not been heard in a long time on a new release”. 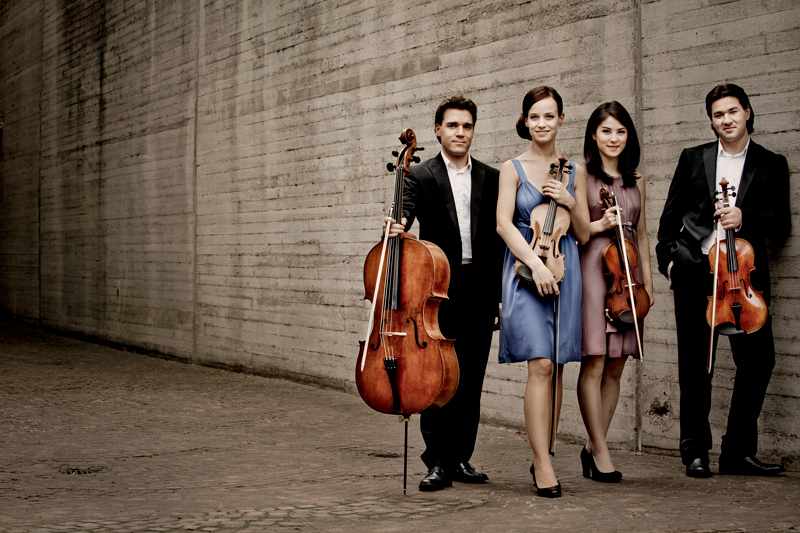 Since 2009, the Minetti Quartett is artist in residence at the “Osttiroler String Festival”. After completing the individual studies at the University of Music and Performing Arts in Vienna, the Minetti Quartett was coached by members of the famous Alban Berg Quartett and the Artis Quartett. The quartet received its first artistic impulses as members of the European Chamber Music Academy by working with the Amadeus Quartet, Quatuor Mosaique and the Hagen Quartett. The Minetti Quartett thanks the companies Asamer Holding AG Ohlsdorf and the Thomastik-Infeld in Vienna for their generous support. The quartet’s violins are made by Giovanni Battista Guadagnini (1774) and Gaspare Lorenzini (1756) and the cello by Giovanni Tononi (1681) by courtesy of Austrian National Bank. Milan Milojicic plays on a viola by Bernd Hiller.